With Brexit less than a year away, many are considering the potential impact of final negotiations on businesses across the UK. The terms of exiting the EU inevitably mean some changes to the movement of people between member countries. As such, employers have expressed concern regarding their ability to hire from abroad. The Brexit vote has already been known to affect hiring in certain cases, as some businesses have noticed a slowdown in EU candidate applications for UK roles. 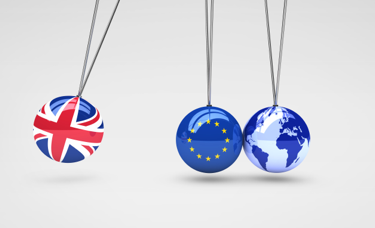 Whilst some professional sectors have previously proven very attractive to foreign nationals, the referendum has led prospective candidates from within the EU to question whether working in the UK is a wise move. Global Resourcing specialist, BPS World, have spoken in the past about the importance of EU workers in potentially alleviating the skill shortage in the UK; an issue that could be intensified as a consequence of Brexit. A significant concern for the recruitment industry is the existing reliance on skills from the EU, alongside the removal of free movement for skilled workers, which could widen the skills gap further. Indeed, according to a report by NGA Human Resources, Brexit is likely to restrict the number of low-skilled workers coming into the UK. This would inevitably pose challenges for those sectors that rely on low-skilled labour, meaning employers may need to explore alternative sources for their workforce. However, the same study found that Brexit is likely to attract highly skilled candidates, which could point to a future whereby entrants to the UK jobs market are better equipped with the skills and attitude that employers need. 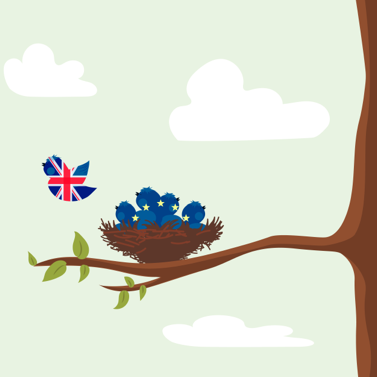 Though the full impact of Brexit on the recruitment sector remains to be seen, experts are certainly predicting a fundamental change in the role of the recruiter. Working in an uncertain market could lead to nervous candidates who are less likely to leave their current roles, whilst cautious employers working under increasingly scrutinised budgets may avoid hiring new recruits. Undoubtedly, the historic decision to leave the EU has created a period of great uncertainty amongst British businesses. However, Brexit also means that it is more valuable than ever to speak a foreign language. 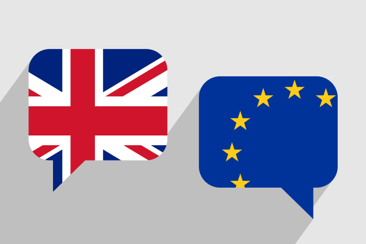 This means that despite Brexit, European and world language skills remain critical for businesses across the UK. At LRS, we will continue to actively seek talented and motivated multilingual people from around the globe and place them in UK based roles. As your partner in attracting talent, our skilled team will strive to overcome any potential obstacles that may arise as a result of Brexit. Indeed, Adrian Marlowe - chairman of the Association of Recruitment Consultancies - has argued that the Referendum could provide an opportunity to press for a flexible employment model in the UK that supports all. As one of the UK’s flagship industries, Marlowe hoped the entrepreneurial spirit of the recruitment sector would be able to flourish under a positive model of Brexit. As one of the largest social and economic events to take place in our lifetime, it is unsurprising that the lack of certainty in the UK economy will have repercussions for business confidence and recruitment. When the initial decision was made to leave the EU, approximately 100,000 EU citizens departed the UK within 3 months. This staggering figure proves that, whichever free movement policy is ultimately negotiated, upheaval within the UK is inevitable. Faced with a potential reduction in migrant labour, it is also clear that recruiters will need to look at differing sources or processes to fill the need. New strategies may include an increase in apprenticeships for skilled careers, though the issue of lower-paid or temporary recruitment may be harder to address. It is currently unclear whether adjustments in labour law will have a negative impact on benefit structures or if changes will be forced upon employers to strengthen their offer in attracting candidates. In optimistic terms, Brexit could provide a platform for the UK to create a radical approach to employment law and recruitment practices. Regardless of the outcome, the recruitment industry must work to build a better future and to reassure candidates of all backgrounds that employment rights and modern work practices will be addressed within a national employee relations collaborative model. What do Candidates Look for in a New Job and Why?